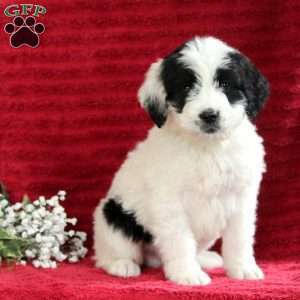 Meet Mason, a cute and curly F1b Bernedoodle looking for a forever home. Mason is current on shots and wormer and will be vet checked. The breeder is also providing a 1 year genetic health guarantee. 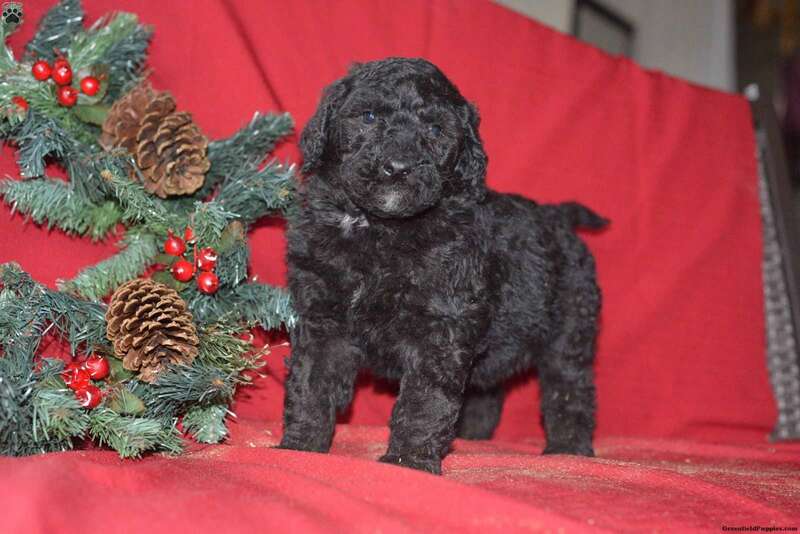 If you would like to find out more about this adorable puppy please contact the breeder. 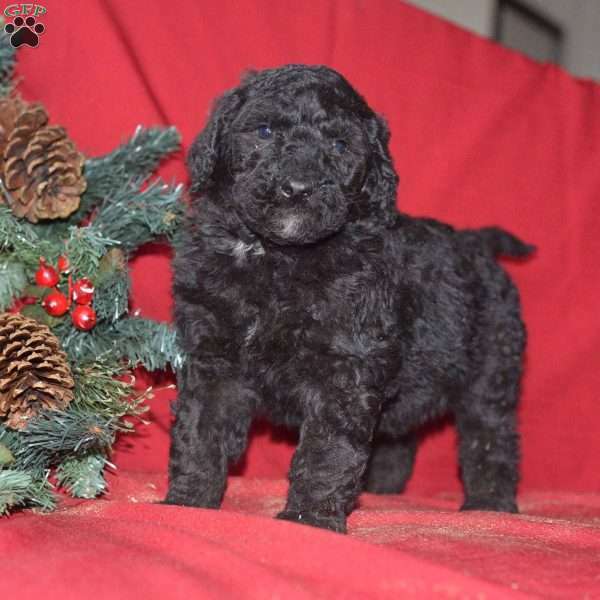 Marty and Rosie Yoder are breeders located in Dundee, OH who currently has a litter of Bernedoodlei puppies for sale. These pups come with an extended health guarantee. Please contact the breeders today to find out more.